Ulcerative Colitis and Crohn's Disease: Adjunct in the treatment of ulcerative colitis with the usual supportive and dietary measures. For the management of severe, acute attacks of ulcerative colitis, rectal and systemic corticosteroid therapy appears to be clinically superior to sulfasalazine, but sulfasalazine may be more effective than corticosteroids in reducing the number of relapses in patients on maintenance therapy. In the treatment of active Crohn's disease, especially in patients with colonic involvement. Rheumatoid Arthritis: Pyralin EN tablets are indicated for rheumatoid arthritis which has failed to respond to non-steroidal anti-inflammatory drugs (NSAIDs). 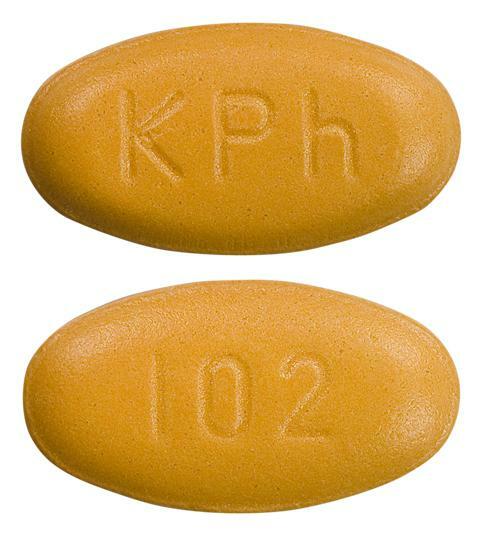 Yellow-orange, elliptical convex enteric coated tablets marked with 'KPh' on one side and 102 on the other side. Take with a full glass of water No iron, zinc or fluoride within 2 hours of taking this medication.